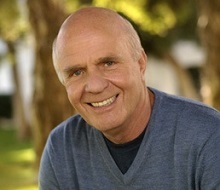 Dr. Wayne W. Dyer, affectionately called the "father of motivation" by his fans, is one of the most widely known and respected people in the field of self-empowerment. He became a well-known author with his bestselling book, Your Erroneous Zones, and has gone on to write many other self-help classics, including Meditations for Manifesting, Staying on the Path, Your Sacred Self, Everyday Wisdom, and You'll See It When You Believe It. Despite his childhood spent in orphanages and foster homes, Dr. Dyer, who has a doctorate in counseling psychotherapy, has overcome many obstacles to make his dreams come true. He spent much of his time showing others how to do the same. His latest Hay House titles include: Secrets of Your Own Healing Power, Wisdom of the Masters, Creating Your World the Way You Really Want It to Be, with Deepak Chopra, and How to Get What You Really, Really, Really, Really Want. When he wasn't traveling the globe delivering his uplifting messages, Wayne was often writing from his home in Maui, Hawaii.